Halloween makes for a crazy week of school. Making learning fun (or just tossing out candy) is probably the only option for success. That is why I created a week of STEAM Halloween learning activities. The perfect science, technology, engineering, art, and math are perfect for a sugar-filled week of learning. STEAM (science, technology, engineering, art, math) is a great way to get learners thinking critically about their learning. Learners will experience exploration, investigation, planning and collaborating during STEAM lessons. 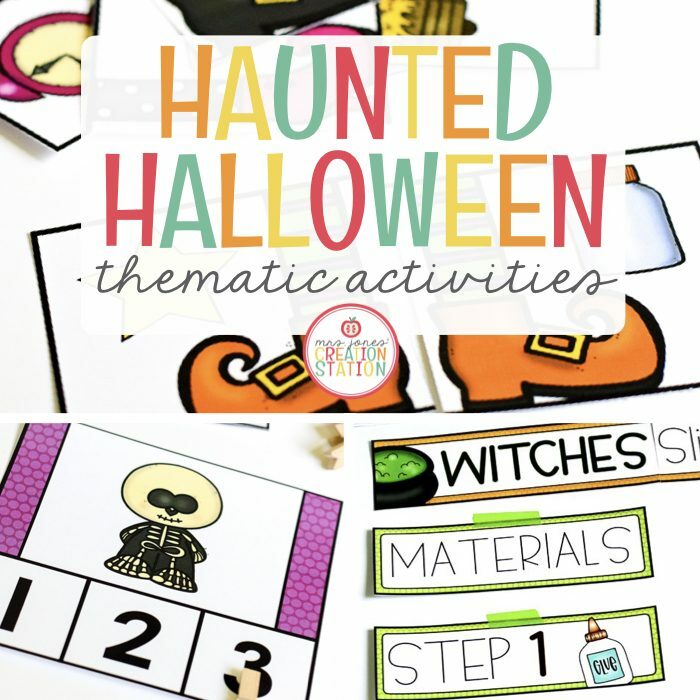 You can find Halloween lesson for each aspect of the STEAM in my Halloween Thematic Unit. My Halloween thematic plans each include a read-aloud to activate prior knowledge and engage learners. 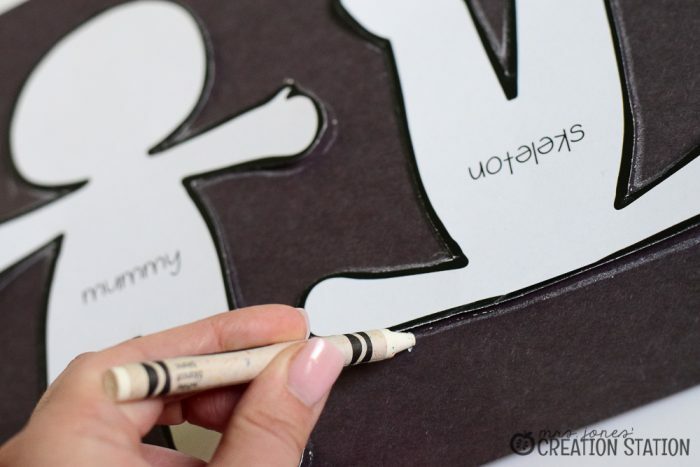 From the text, learners will explore a STEAM component through a hands-on activity. Let’s dig a little deeper into the art portion of our week. 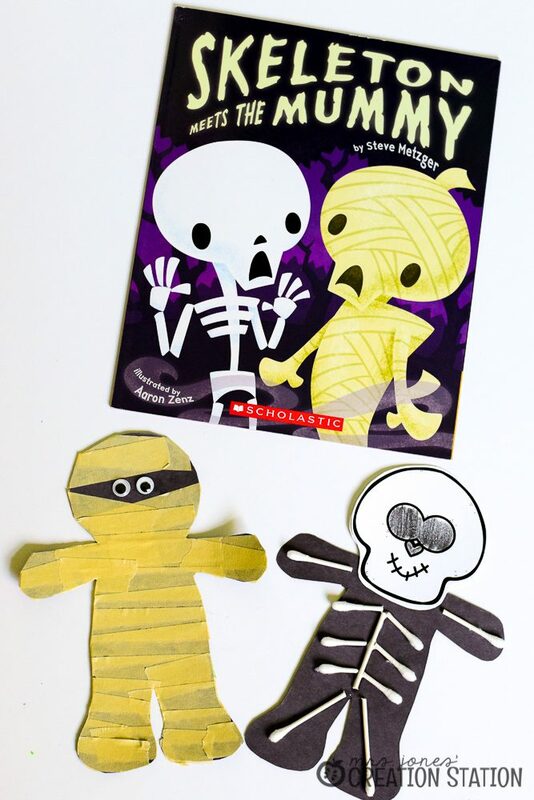 After reading the book Skeleton Meets the Mummy learners get to create their own characters from the story. 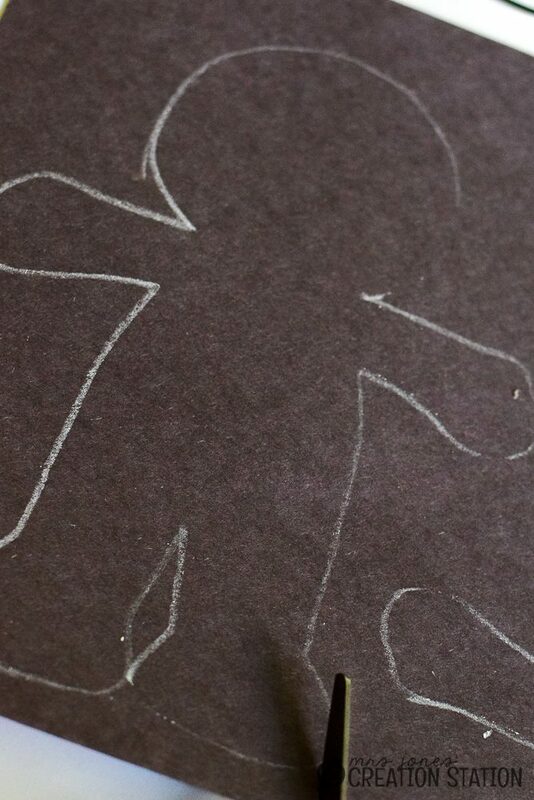 First, learners trace the outlines onto black construction paper. 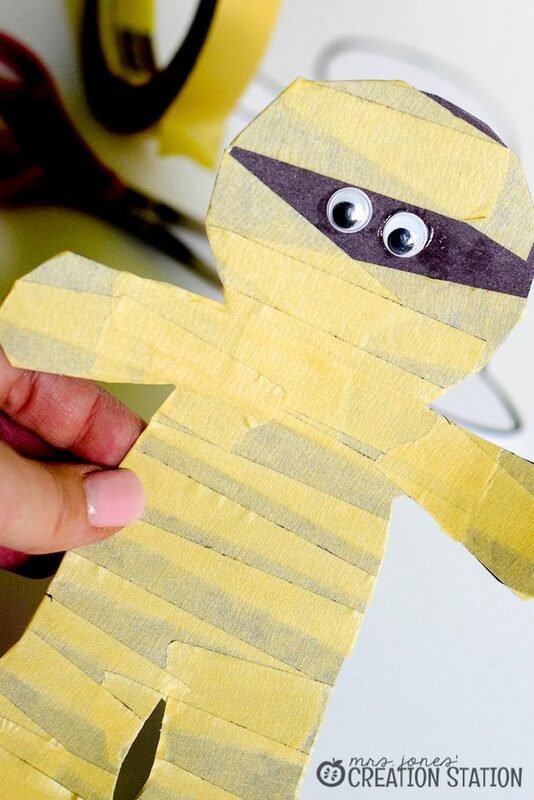 Next, they use masking tape to cut and create their own mummy. Finally, learners glue cotton swabs to their skeleton. 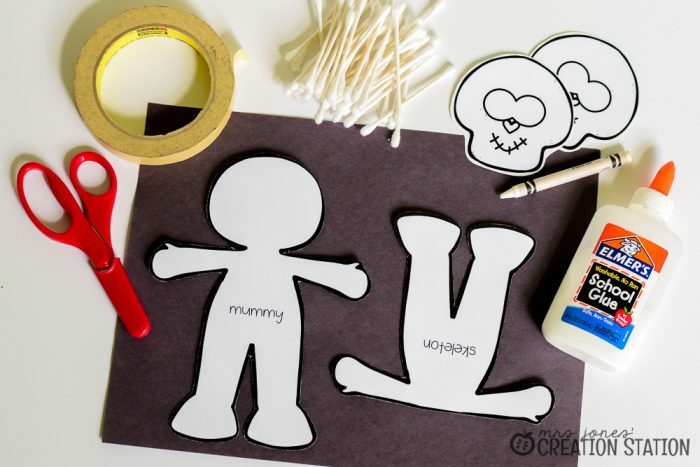 These art projects allow learners to practice their fine motor skills. Whether they tear or cut the masking tape for the mummy, those little fingers will be working hard. After creating their projects, learners have the opportunity to retell the story with a partner. Seeing their art projects hop around as learners use their “scary” Halloween voices is always a great time. Don’t forget about the other components of our STEAM Halloween week. 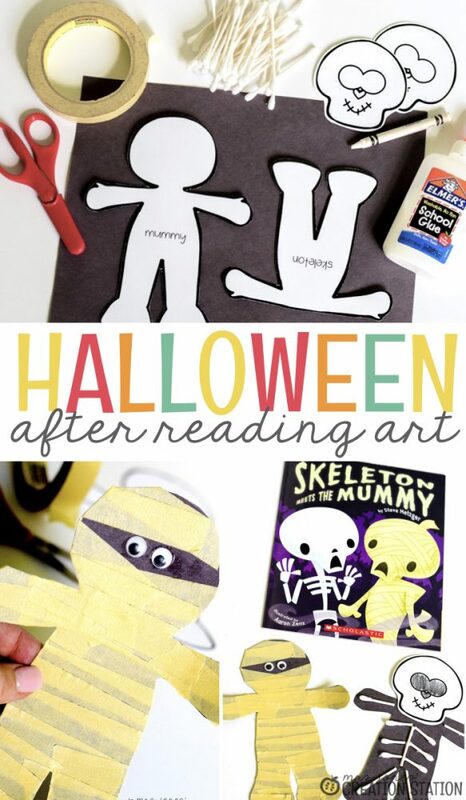 Check out the other fun ideas that you can find in our Halloween Thematic Unit. Science gets a little slimy as learners become the witches in the text. Create an anchor chart together while the slime gets brewed. Technology is a simple and fun way to get learners on the computer. After reading the Halloween text, have learners create their own jack-o-lanterns on the computer. Engineering might get a little spooky as learners plan and build their own haunted houses. 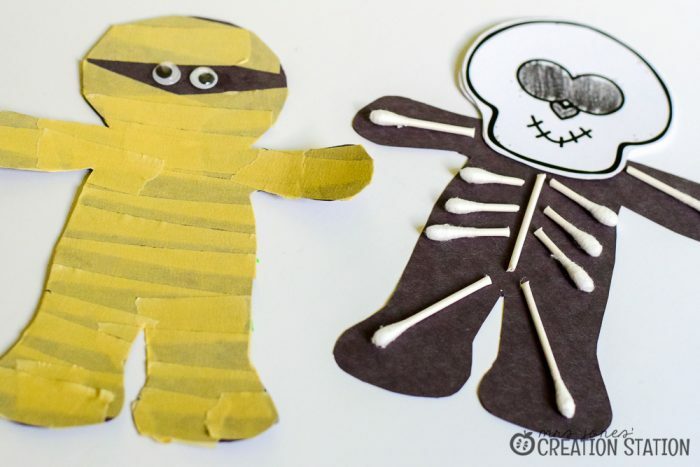 Using paper, tape, stickers and other art supplies learners will create a neighborhood of scary homes. Math magic starts happening as learners create their own webs. Review or teach shapes while perfecting the “perfect” spider web.